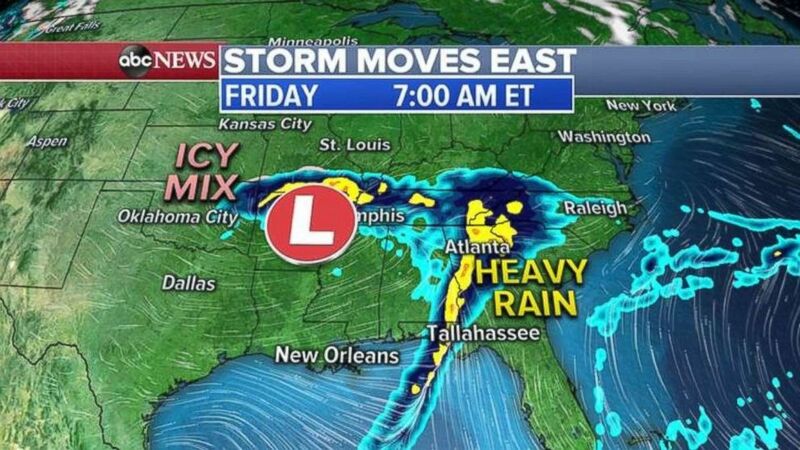 Heavy rain was falling Friday morning in Georgia and the western Carolinas. 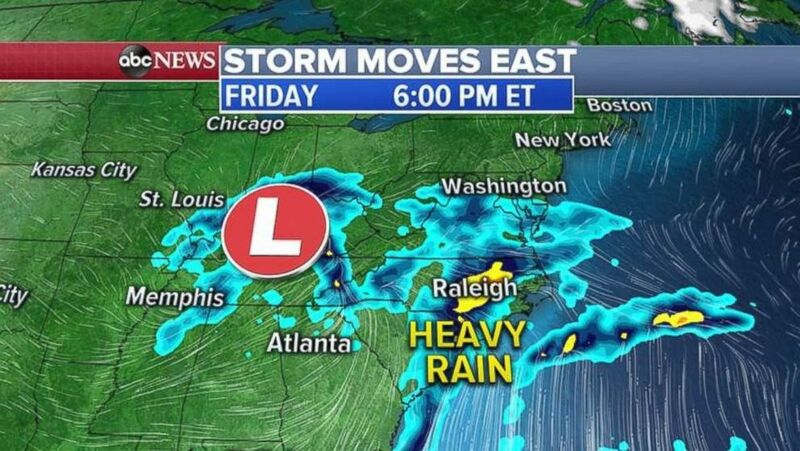 Heavy rain will blanket the Carolinas and Virginia by Friday evening. 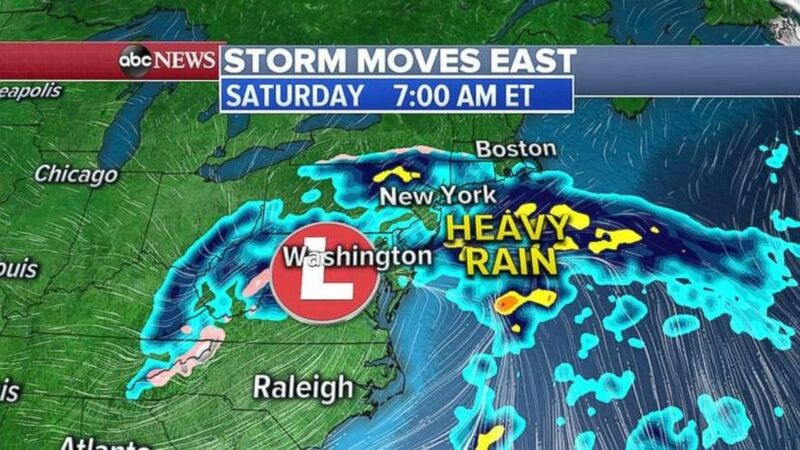 The storm will reach the Northeast overnight Saturday. 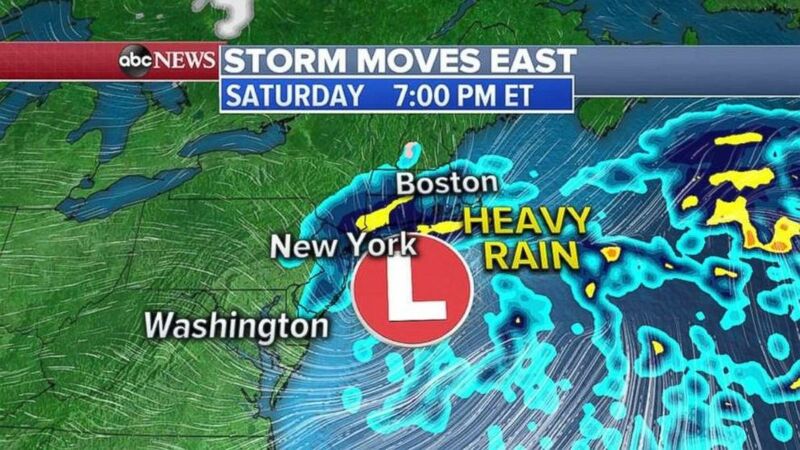 The rain will last all day Saturday in New York and southern New England. 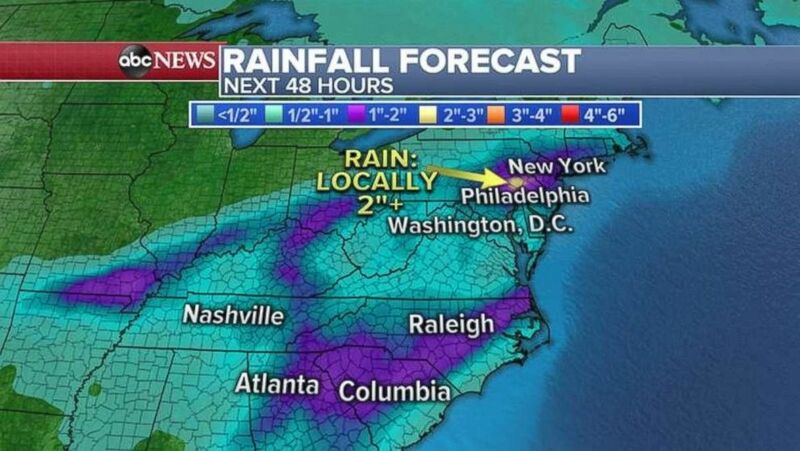 The heaviest rainfall totals will be in the Carolinas and the tristate area.